Terri Lynn Nutter, Roving Director. Hello fellow horse enthusiast! My name is Terri Nutter, Roving Director of the American Sugarbush Harlequin Draft Association. Several other like-minded people that wanted to preserve and breed forward the Sugarbush Harlequin Draft horse, as envisioned by Everett Smith, put this new organization together. I am thrilled to have been invited along for this adventure. I am very honored to be the Roving Director and could not ask for a better group people making up the board members to work with. A little about me, I've had a passion for horses all of my life. I don't have much background in the show ring or any competitive avenues. I enjoy a simple trail ride mostly, although I do plan to start attending some of the local shows with a few of our ASHDA horses. Currently, I have a breeding farm in North Central Florida where we stand our ASHDA Heritage / Stonewall stallion and plan to raise happy healthy dotted foals. I learned of this breed a few years ago and fell in love. I changed the direction of our farm, specifically for this breed, to help its recovery from near extinction. We currently have 4 ASHDA mares, 2 approved cross mares and our ASHDA Heritage stallion. My goals as Roving Director are to help this breed grow, any way necessary and within my means. We need to share this breed so ASHDA can be as common of a household name as AQHA! 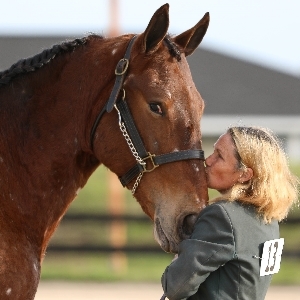 There are so many disciplines where this wonderful breed will excel. As competitors, they are level headed and powerful, as companions, they are gentle and trustworthy and as eye-catching and uniquely marked horses, they have a high market value. The American Sugarbush Harlequin Draft is, like the country where it was born, full of opportunities.